Dave and Rachel met in college as Dave was a resident assistant in her building her freshman year of college. It took a while for Rachel to warm up to Dave but in 2007 they were married in Hudson, Wisconsin (Rachel's home town). 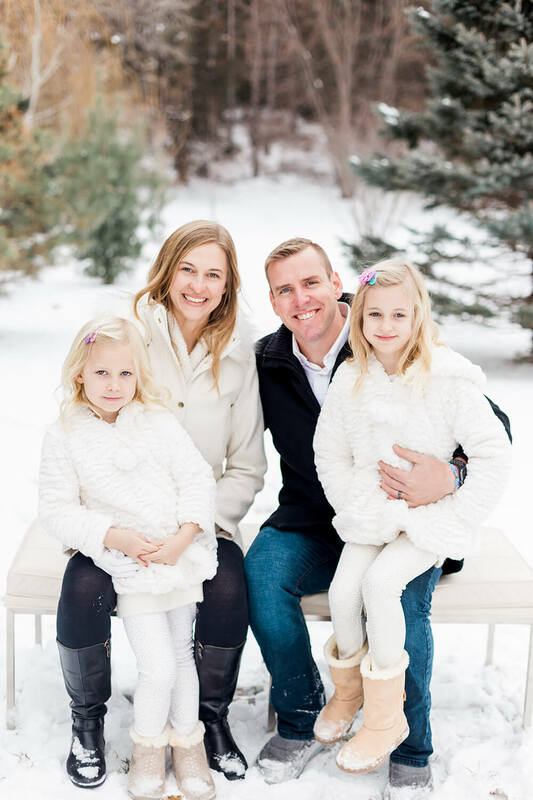 One month after their wedding, Dave and Rachel moved to China for a year to teach English abroad and what brought them back to the twin cities was Rachel's acceptance to law school at William Mitchell College of Law located in St. Paul, Minnesota. Dave quickly found a teaching position and coached swimming at Burnsville High School. Dave also started a professional photography company and grew his one person shop into a photography brokerage shooting over 100 weddings each year and employing 7 freelance photographers. After Rachel and Dave welcomed their first child Adalie into the world in 2010, priorities started to change and working 70 hour weeks as a teacher, coach, and small business owner started to wear on Dave's heart. Dave talked with his financial advisor (who also happens to be his twin brother, Karl) and expressed a desire to transition to a career which would better align with his values of helping people, building long lasting relationships, doing good for society, and also providing well for their family. Karl advised Dave to check out Northwestern Mutual. In the summer of 2010, Dave made the career transition and never looked back. As much as the accolades are appreciated, the biggest joy Dave gets from being a Northwestern Mutual Wealth Management Advisor is the difference he and his team makes in the lives of each person, family, and business they partner with. When Dave is not at the office or meeting with clients, he and his family of four (Rachel, Adalie and Eliza), enjoy spending time at the family cabin located in Cable, Wisconsin. Personally, he enjoys volunteering within their church and local community and traveling the world. When he gets a free moment, Dave enjoys any number of hobbies to list a few: Crossfit, woodworking, EDM music, mountain biking and biohacking.